The making of an addict - Her first try with fountain pens! My daughter tried a fountain pen for the first time. I chose the pen, and she chose the ink. 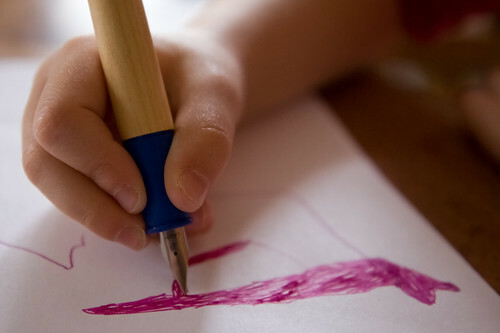 I showed her the position of the finger on the pen and how to aligned the nib. She did a few drawings. She was pretty proud of using daddy's pens. This may be the start of a second fountain pen addict in the house. 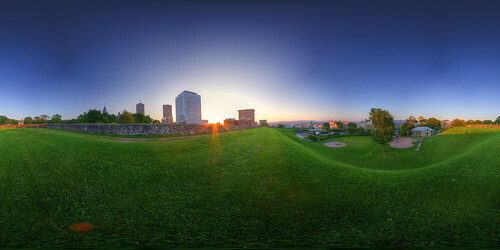 Taken as the sun is setting in one of the few places with this much grass you can find inside the walls of old Quebec. 54 images in 3 rows of 4-8-4 images + 2 nadir * 3 exposures each. 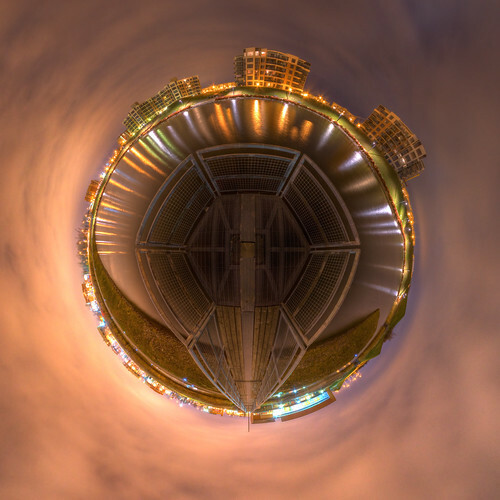 Shot at 10mm, ISO200 f11 and 1/4, 1/15 and 1/60 seconds. Last year, went to take a few pictures at the Quebec Aquarium. They made an event where everything outside was lit. 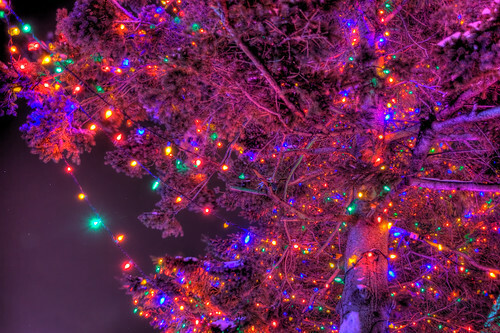 This tree was full of small christmas lights, with some purple lights in it's direction. After a big day, it was still quite warm outside, so I decided to skip some sleep and to go and take a few pictures. Had time to take only one pano. 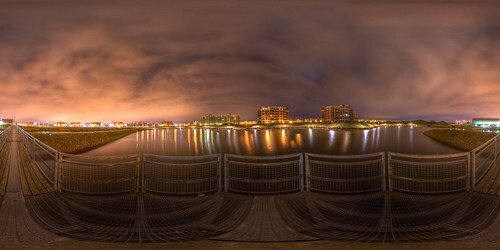 Night panos with my current lens are quite long to shoot. And this one, with all the reflections really needed the multiple long exposures. You can go see the Interactive View. Finally had some time to post new images. 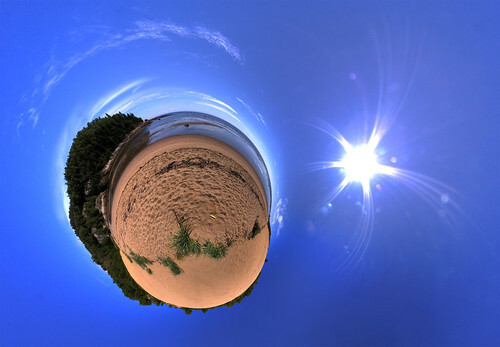 First is another pano I had made when we were visiting Tadoussac. 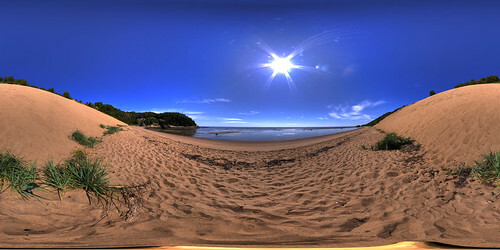 This one was taken from the bottom of the sand dunes. See the interactive to get the feeling. 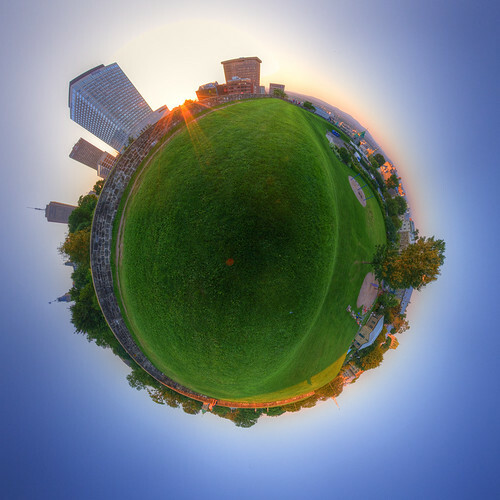 This one is only about 180 degree wide. Taken from a bay window, I liked the way we could see all the roofs for a quite long distance.